You are here: Freebies » Magazines/Books » FREE Subscriptions to Outside, Golf Digest, Sports Illustrated & More Magazines! 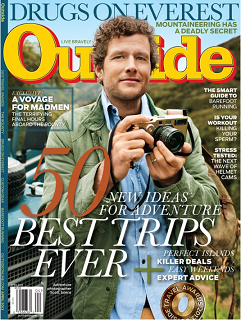 Get a FREE Subscriptions to Outside, Golf Digest, Sports Illustrated & More Magazines! Note: You don’t need a rewards password. If by chance the form doesn’t submit, you may need to select another magazine. Also throughout the month they change which magazines they offer. No purchase necessary!